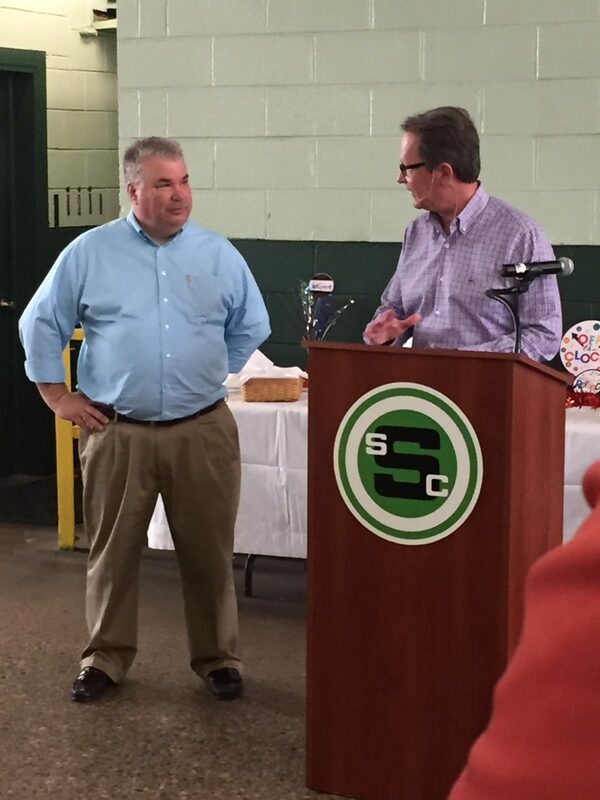 After 19 years of service, Jim Keba retired from Sandmeyer Steel Company today. In the course of his time here, Jim was responsible for many of the operational improvements and changes that have helped move our Company forward. To mark this occasion, we held a ceremony with a cake to show our appreciation for his years of service. We wish Jim all the best in retirement! Our customer, a manufacturer of pulp and paper equipment, ordered this specialty-cut piece from us. It’s made of 1″ thick 2304 and was cut on our waterjet machining center. Many pulp and paper mills use Sandmeyer Steel Company’s stainless steel and nickel alloy plate products to avoid iron contamination of the paper and to resist process corrosion. 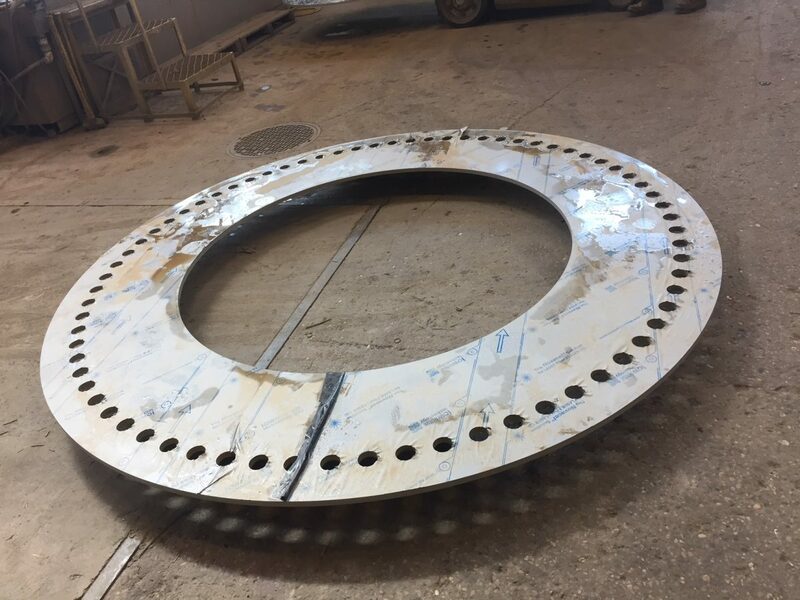 Our customer, a manufacturer of filler machines based in the Northeast, recently ordered this large cut piece from us made of 3/4″ thick 316L. 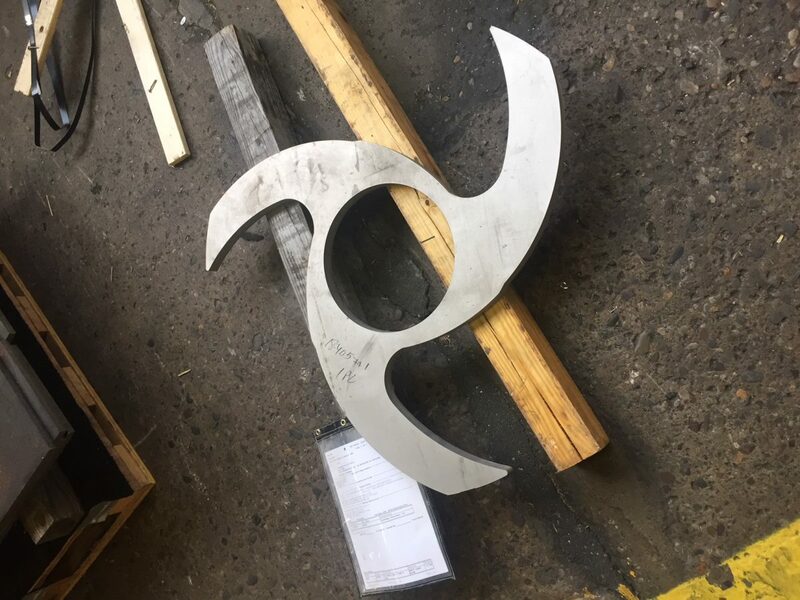 As always, we delivered this piece on-time and with accuracy according to our customer’s specifications. This project is a small part of the service we provide to the beverage and bottling industry worldwide. 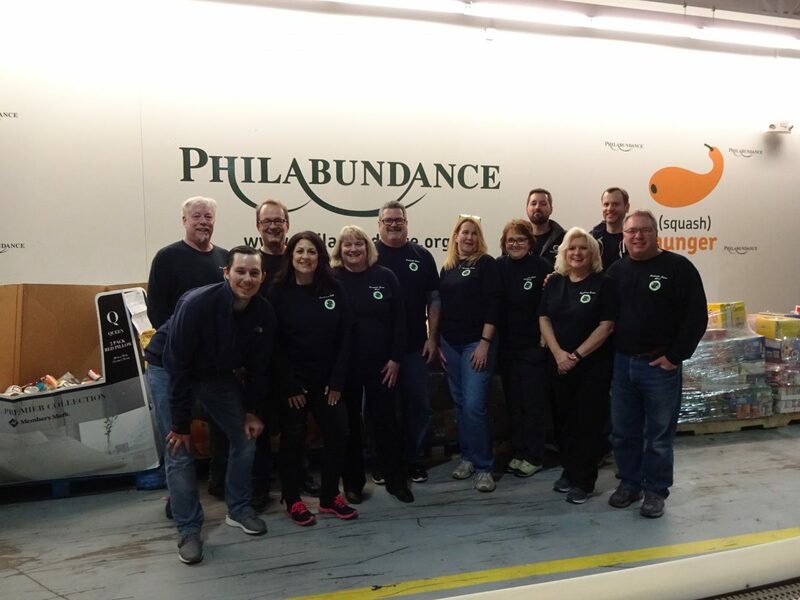 As part of our mission statement of “Making significant contributions to the communities in which we work and live,” our Sandmeyer Serves team visited Philabundance to help sort and box fresh fruit for distribution. We were able to box up 5,240 lbs. of “good and edible” clementines, or 262 – 20 lb. boxes of this fruit which will go out to the community. Thanks to the team for your hard work and to Philabudance for the opportunity to do service! Our customer, who specializes in industrial pipe support systems, continues to order complex pieces that we delivery to them quickly. 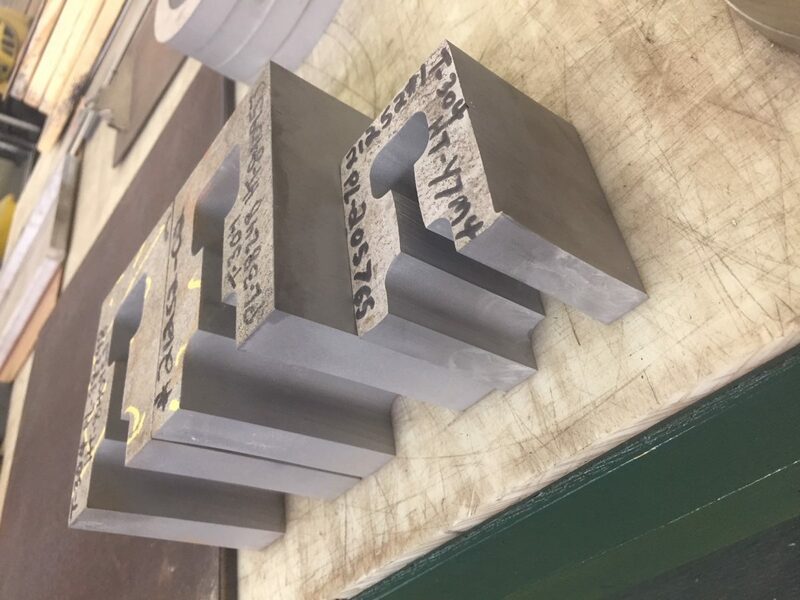 Here are some pieces made of of 5″ thick 304L that we cut on our waterjet machining center. Our customers come back to us time and time again because they know we have the inventory in stock, and can rely on us to deliver a quality product on-time.